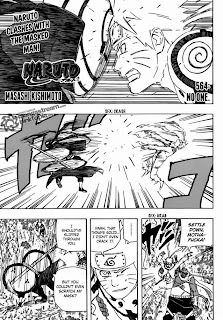 Finally, Naruto clashes with the masked man, it will become hard and long battle. 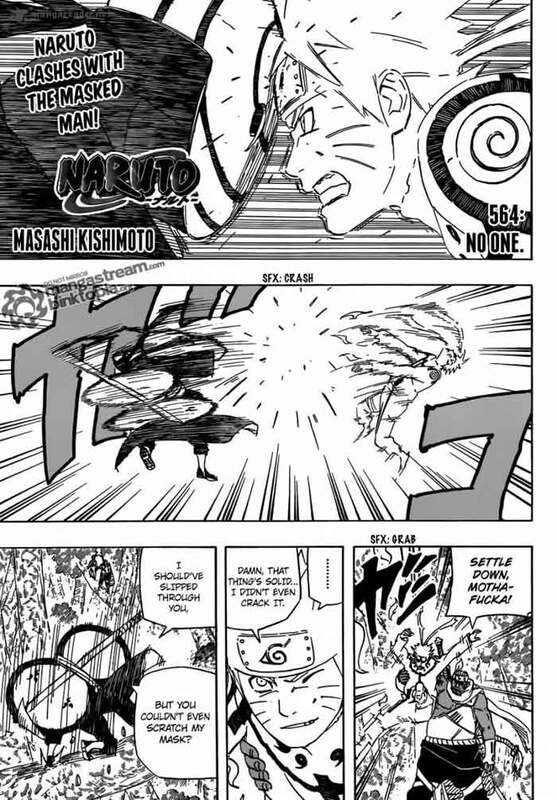 The masked man is accompanied by six jinchuuriki, while Naruto just have Killer Bee on his side. All of the other Jinchuuriki have a sharingan in one eye and a rinnegan in the other. They are strong and have various secret technique, it will become difficult battle for Naruto and Bee. For the masked man, this time his mask has two eyes holes and has the same eyes like another Jinchuuriki. Maybe right now he become more powerful, but the situation is not going as he planned anymore, when Naruto mention about the other Madara has appeared, he looked suprised. Naruto asked him about his true identity, but he turned to challenge Naruto to work for it to see what's under his mask. He doesn't care anymore about others will be called him tobi or fake Madara or whatever they want, he is no one, all he care about is completing the moon's eye plan because he thought this world is completely worthless. Naruto swear in front of him that he is gonna tear that mask right off his face. The real battle will start from now.